Is it Spring yet?? One day it's like a beautiful summer day here and then the next day...not so much. I am really looking forward to warmer weather!! I've been getting more Easter decor out, which really makes me long for warm sunny days. I don't go overboard on the decorations, but always have a few carrots and bunnies around the house. I always make room for a few little feathery chicks too. Actually, I think they are ducks as Terry mentioned in her comment! LOL! Speaking of feathers, I'm practicing some feathers...again! Can you say "obsessed, much?" I'm getting ready to quilt a client's quilt that I want to curl some feathers in the border. I've been working on perfecting my backtracking because it'll really show on the backing of this quilt. I picked up some of the exact fabric while I was working at the quilt shop yesterday that is in this quilt border to practice on. I wanted to make sure I could see the thread this time too! LOL! Yes, I can see the thread and what I'm quilting!! Yipee! That was more than half the battle on the 30s quilt. Your doing great! Your feathers look wonderful and to me you look like a pro that has been doing it for a long time! You're a natural!! Beautiful feathers! I think you've got it figured out! You truly are amazing. 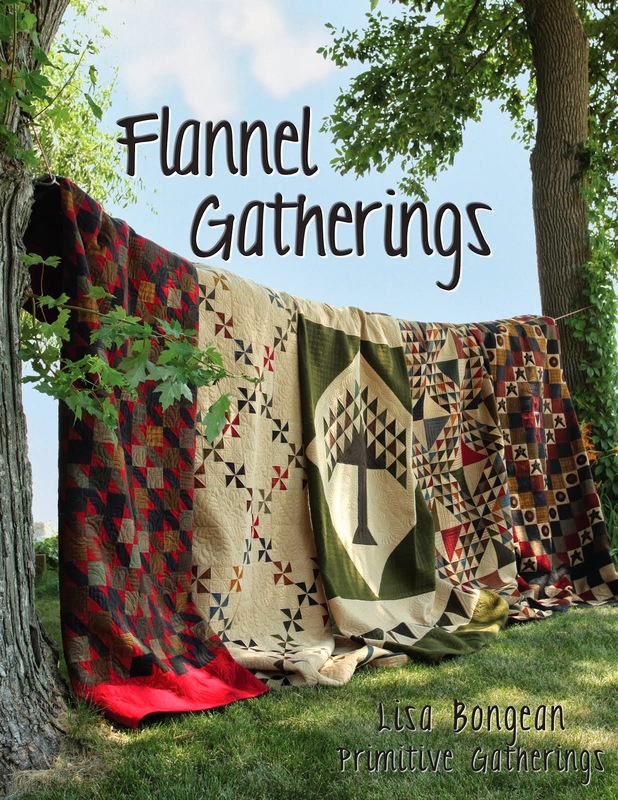 You're going to be famous for your quilting. They are beautiful! You don't go overboard on decorating? I think that may be an understatement...lol!!!! Beautiful feathers ...I think you have them mastered! Love your Easter decorations. Those chicks with the feathers are adorable. Your quilting is fantastic. You really know how to do feathers. You don't need a class. Forget I ever told you about that class that is coming up. You could teach it! Just quilt it! It will be fantastic!! Absolutley beeeeautiful feathers - I really wish I could do that so freely!! I cant beleive how well you are doing - Hi girls - I love the Easter Bunnies and carrots - no wonder you shift them about :) I would too. Great decorations! And my goodness, your quilting is coming along fabulously! Your little chicks are adorable. My house use to be decorated when I had kids living at home. Love your Easter decorations. Especially the 2 fuzzy chicken-ducks. Your feathers are beautiful. Hugs. Oh Linda, the bunnies and carrots are cute, the ducks are precious and your feathers are fabulous! You're doing GREAT! Just a glass, not the whole bottle! Or your feathers will look like cat tails, carrots or maybe bananas. I think you moved beyond newbie! Love those feather chicks, they so fun. Your quilting is so beautiful, I need to start practicing my free motion and finish some. I will be happy if I can quilt without making nests, lol. I love the prim carrots and all your decorations, Linda! Feathers are up next on my list, too! I think I need a mentor like you, though! 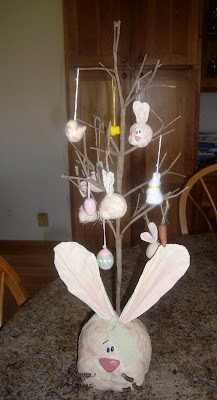 I'd say you have those feathers mastered , they look wonderful !I love all your Easter decorations too! Let me know how that wine works (I just stocked up, so if it works, I'm covered....LOL!) 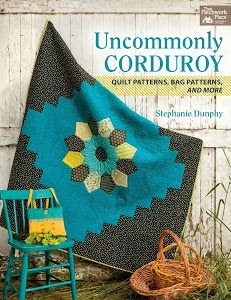 I just know the quilting will be fantastic! It's hard to believe you're a "newbie"! You're a feather queen! They're so gorgeous. Wine and long arm quilting...could prove to be interesting. Your decorations are very sweet! I think you've gone beyond needing to practice feathers, Linda, you're a pro now - they look wonderful! Love those feathery chicks/ducks!!! And your feathers are sew perfect!